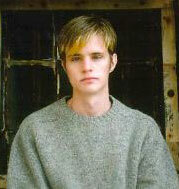 On 6 October 1998, Matthew Shepard, a student at the University of Wyoming, met Aaron James McKinney and Russel Arthur Henderson in a bar. After Shepard admitted he was gay, they talked him into leaving with them, at which point they drove to a secluded location outside Laramie, stole his wallet, tied him to a fence, pistol-whipped him senseless, and left him for dead in freezing weather. He was discovered 18 hours later, his unconscious body initially mistaken for a scarecrow. Shepard died from his injuries six days later, and was promptly made an example of by the Right Reverend Fred Phelps of the Westboro Baptist Church in Topeka, Kansas, who claimed divine retribution had killed Shepard for the sin of being a homosexual. Phelps and his flock picketed Shepard's funeral on 17 October 1998, holding signs proclaiming "GOD HATES FAGS" and similar slogans, later installing a "memorial" on the church website which proclaims: Matthew Shepard has been in hell for 2102 days. Eternity - 2102 days = Eternity. Shepard's parents have since become vocal gay rights activists. An exposé on 20/20 in late 2004 contended that Shepard was HIV positive, that he knew his abductors (and perhaps one of them, Aaron McKinney, was bisexual), and that Shepard was a crystal meth user and active in the local pickup scene. If these facts are true the entire incident turns more from a notorious hate crime into a robbery gone horribly awry.